Here a marker image is built from the region of low gradient inside the image. 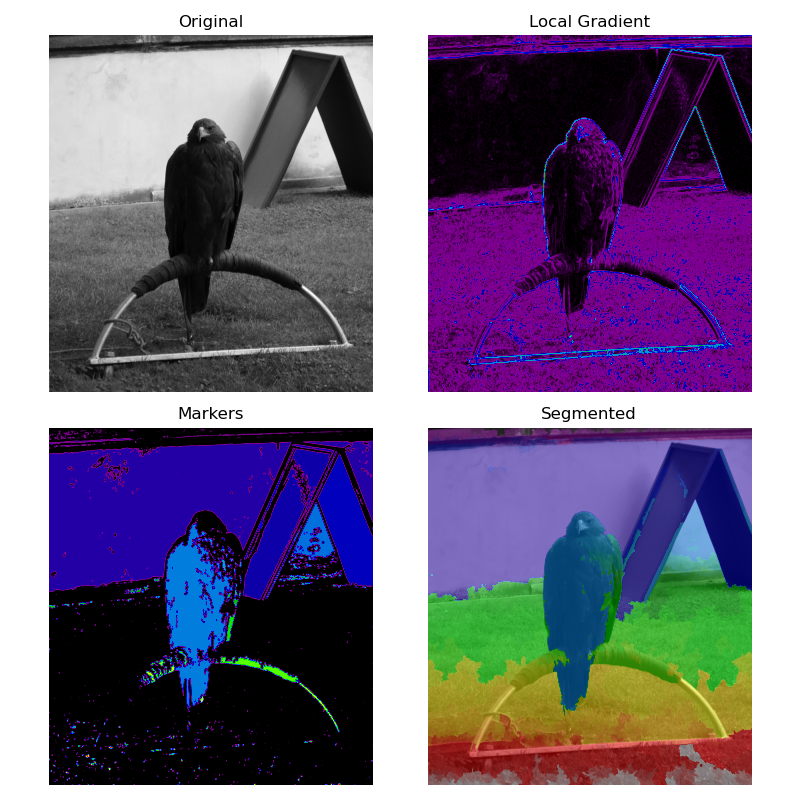 In a gradient image, the areas of high values provide barriers that help to segment the image. Using markers on the lower values will ensure that the segmented objects are found.